There is a reason why Fick As Fieves have been championed by the BBC and currently featured on Spotify's 'HOT NEW BANDS' playlist. That reason is they're awesome. They've had a busy year playing at gigs and festivals along with the likes of 'Slaves', 'Redfaces', 'Madness' and 'Seastick Steve' and their latest single 'English Weather' is fantastic. It's contemporary rock with the undertones of a 70's vibe, the video is fun and so is the song. Their sound reminds me a lot of the Artic Monkeys where they first came out, and they could very much be a band to look out for in 2018. it is very much right to describe them as an energetic Indie-rock trio because 'English Weather' is bursting with energy, and most importantly positivity. We're all very much aware of the fraught position the world is in at the moment, and whilst I do admire Artists who use their platform to speak up for the cause, we also need Artists like Fick As Fieves to provide a welcome relief from troubles. 'English Weather' is very much that relief and having listened to it over 10 times, I can happily report this song only gets better with every listen. 2017 has seen them release a series of singles, which have generated thousands of views and streams across the platform, and I challenge anyone to listen to their music and question why. The only answer you will find is in your dancing shoes. 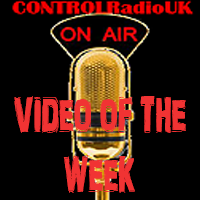 CONTROLRadioUK is extremely proud to not only count Fick As Fieves as one of the many Artists we playlist, but also feature them as our song of the week and do not be surprised to see them ruling our charts very soon!